Myokinetics helps educate students at Aspenwood Elementary in Port Moody. 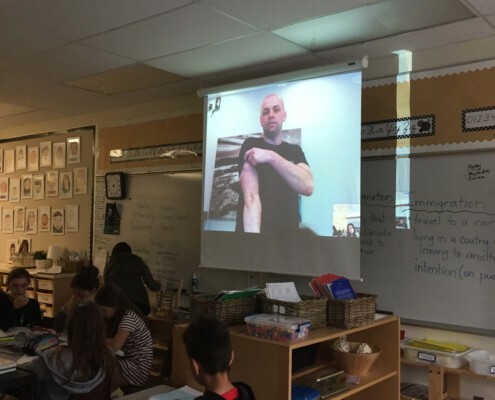 Krys Dybowski, RMT and owner of Myokinetics Registered Massage Therapy in Port Coquitlam skyped into two grade 4/5 classes at Aspenwood Elementary in Port Moody to help them learn about muscles and bones. Students at Aspenwood in Port Moody had been learning about muscle groups and fitness while they partook in boot camps during the physical education blocks. During the boot camps teachers noticed that students had some great questions that could only be answered by none other then an expert. Krys’s wife Tina is a teacher at the school in Port Moody and had recently been to a Professional Development workshop about creating a virtual classroom where experts can skype in from around the world to help students learn. Tina thought there is no one better to answer questions about muscles and bones then an RMT so why not skype Krys in. When Tina shared this with her teaching partner Kelly she was all for it and after announcing it to the students they just couldn’t wait. Students learned about what muscles were in action when they were practicing for their upcoming track meet and they also learned about what muscles they were using during their boot camp. Students appreciated the time that Krys took and had many moments of clarity through the lesson, as he was able to not only tell them but also show them the muscles he was talking about, as the skype session was projected onto the screen. Students stated “I learned so much about what muscles I was using and how they worked when I was training for track” and “I really like that I know the proper words for the muscles…I kind of feel like a doctor”. In today’s world with Internet and social media students thought that is was so much fun to have someone skype into their classroom. What a great experience for both Krys and the students of Aspenwood Elementary. 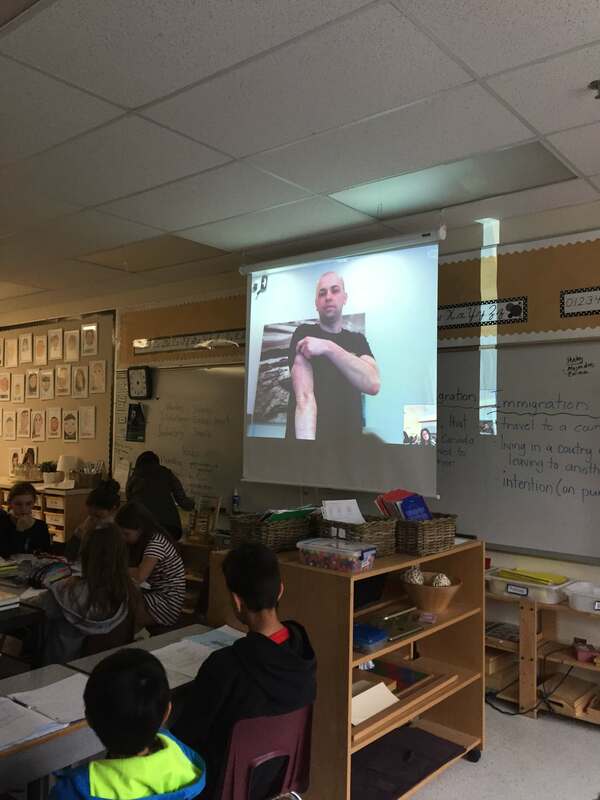 Krys Dybowski, RMT and owner of Myokinetics Registered Massage Therapy in Port Coquitlam skyped into two grade 4/5 classes at Aspenwood Elementary in Port Moody to help them learn about muscles and bones.